This film is so nostalgic for me. I remember watching it over and over on VHS (that dates it!) at my great aunt's house when I was really young and believing that the Looney Tunes characters that are in the film were really there. 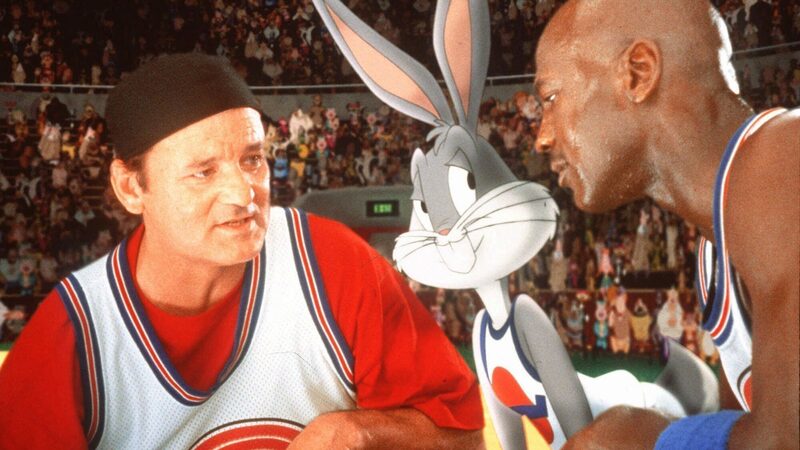 Starring basketball champion Michael Jordan, the Looney Tunes characters need his help to win a basketball game and earn their freedom from an evil alien tyrant who wants them to perform at his space theme park. I admit the concept is cheesy and easy to follow, but that's what makes it so charming. A typical 90's family film, it's funny and entertaining throughout. Plus, Bill Murray is in it, so how can it not be great? Its special effects are cartoonistic throughout, reminiscent of Who Framed Roger Rabbit (1988) and Caspar (1995), so will undoubtedly transport you back to your childhood. It was made at a time when films still had substance and family films were a mixture of live-action and animation, which I personally love. There is a clear beginning, middle and end structure, keeping you interested throughout and allowing the plot to progress. Featuring the likes of Bugs Bunny, Daffy Duck, Tweety Pie and the rest of the gang, it brings the Warner Brothers beloved series to life. This will always have a place in my heart, and although I feel like it won't have the same effect on people who see it for the first time now, I will always recommend this to those the same age as me and older who fondly remember similar nostalgic films. Unfortunately, I feel like younger audiences would now disregard it due to its 'dated' visual effects but I guess that's just the way it will always be. It's a true classic through-and-through.